DERE EVIL EXE – More of Everything you loved about DERE .EXE! Anyway, getting back to the game, DERE EVIL EXE is “mostly” played using a set of 3 on-screen buttons which can be used to move your character left and right as well as jump. Typical platformer game controls. For anyone who remembers how bad the controls were in the original, these new controls will be a welcome surprise! Jumping into the story, we promise not to spoil anything for you. So we will say nothing! Last but not least, if you’d like to enjoy DERE EVIL EXE to its full potential, we recommend 2 things. (1) Play DERE .EXE if you haven’t already. 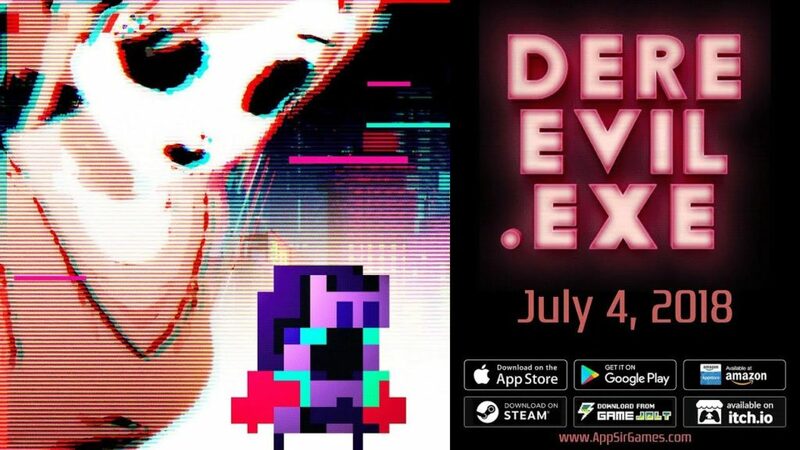 If you enjoy playing casual horror games, nothing disgusting or too creepy, just the occasional jump scare to keep you awake at night, DERE EVIL EXE is yet another great game from AppSir we really enjoyed.